Uber on Tuesday announced the launch of dockless electric scooter service JUMP in Washington, D.C., making it easier for city riders to travel around in the city. The service is designed as a one-stop-shop option available via the Uber app, regardless of the distance riders would need to travel. The introduction of JUMP has been presented as part of Uber’s commitment to offer multiple modes of transportation that are safe and affordable. The company plans to distribute free helmets through Gearin’ Up Bicycles until May 7. “At Uber, we are working towards a world where Washington, D.C. residents can easily live without a car by taking advantage of a wide variety of transportation options, from scooters to rideshare and beyond, requested right from the Uber app,” said Loic Amado, Uber’s East Coast General Manager of Scooters. “Today’s launch gets us closer to that vision by giving people in D.C. an affordable, environmentally friendly way to get from point A to point B,” added Amado. JUMP e-scooters will be available at $0.15 per minute of the ride, and will be free to unlock. The e-scooters can be found and unlocked by using the Uber app. The user can hit the mode switch at the top of the home screen of the app and select Scooter to avail the service. Another option is for the rider to walk up to the nearest available scooter and scan the QR code to unlock it. As part of its mission to offer affordable and reliable transportation tools over its app, Uber acquired JUMP in May 2018. Using e-scooters, D.C. residents will be able to easily move across the town without needing their personal vehicles. Current regulations in D.C. put a cap on 600 electric scooters and 600 electric bikes for operators per permit. But given the rising number of permit applications submitted since early this year, the city can allow thousands of dockless vehicles on its streets by the end of 2019. 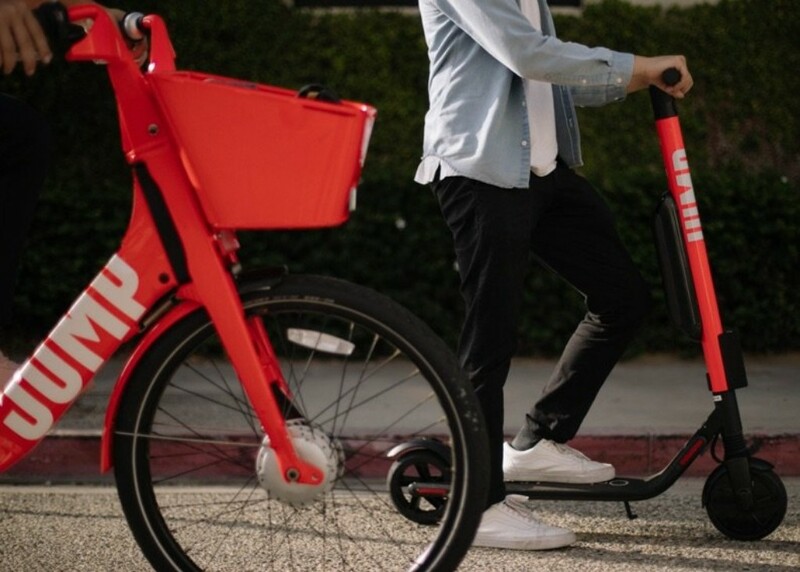 JUMP’s scooters were launched for the first time in the U.S. in 2017 and are now available in 10 cities including Los Angeles, Atlanta, Dallas, Miami, and Austin.